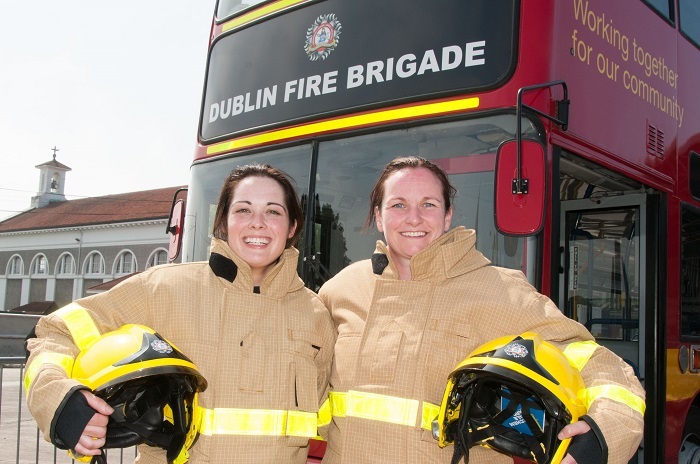 Dublin Fire Brigade’s Sarah Good and rower Sarah Doyle have set and smashed a world record for tandem rowing this year. 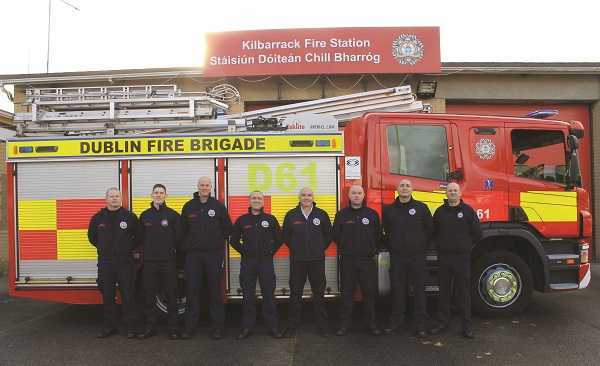 On St. Patrick’s Day 2017, while most of the country was celebrating our national holiday with a pint and a parade, one of Dublin Fire Brigade’s personnel was down in Passage West Rowing Club, Co Cork. Taking turns over the course of the day, Sarah Good (a nine-year veteran working on A watch No 8) and Sarah Doyle (a friend of Sarah’s from outside the world of DFB) managed to set and break an Irish and world record respectively for the 100km tandem row, finishing in an impressive time of 7 hours 29 minutes and 22 seconds. “Another in a long string of ridiculous ideas!” Sarah Good explains with a laugh. 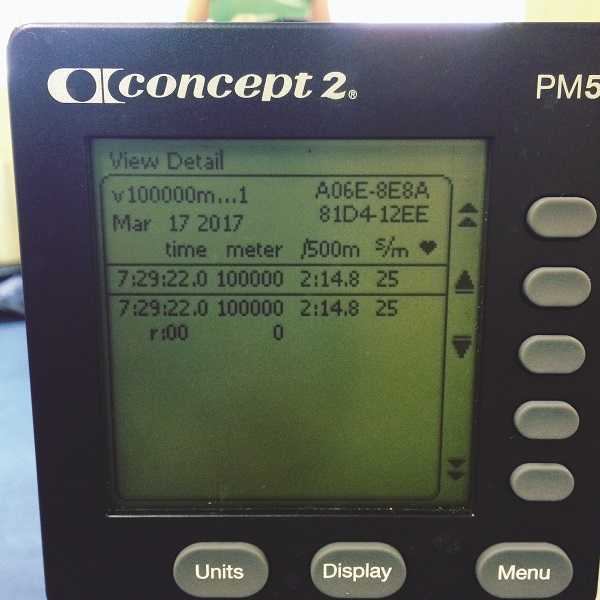 Although Sarah is no stranger to rowing machines, her friend Sarah Doyle is the rower, and regularly competes in events around the country. However, despite completing a number of half marathons and marathons, she had never competed in a 100km distance event before. Given that Sarah Good was in the same age group and weight class – and willing to give it a go – team LauraLynn was formed. 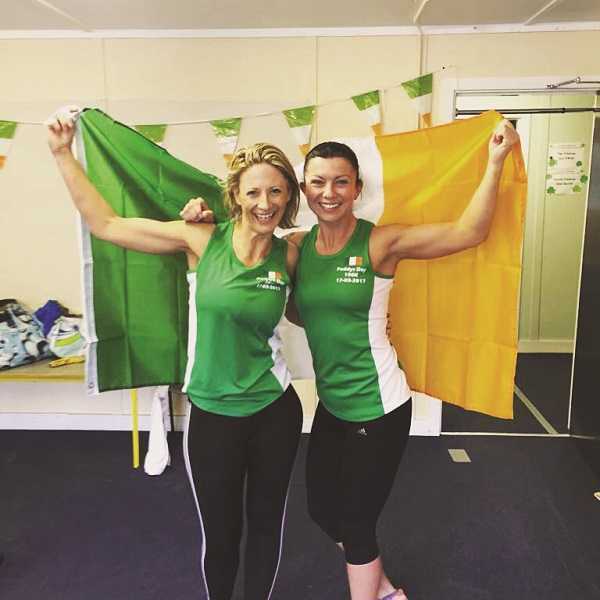 The team’s efforts paid off – as the odometer clicked past 100km they had set an Irish and world record in their category, raising almost €1,000 for LauraLynn. “We named the team for the day LauraLynn, so the record will go into LauraLynn’s name – something nice for them to hang on the wall. 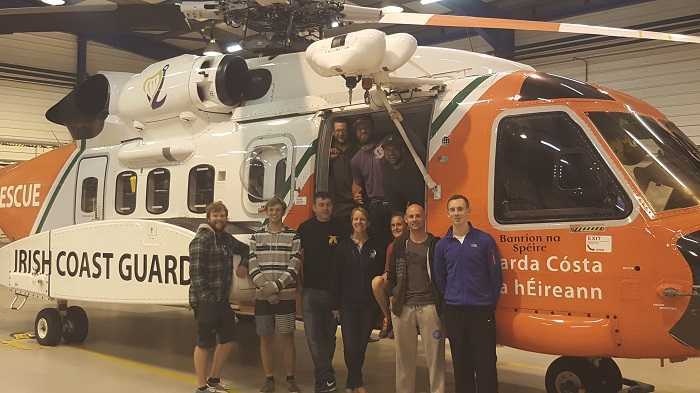 It was brilliant, really cool,” Sarah explains, while noting they weren’t alone down in Cork. Both of their respective other halves provided support from start to finish. 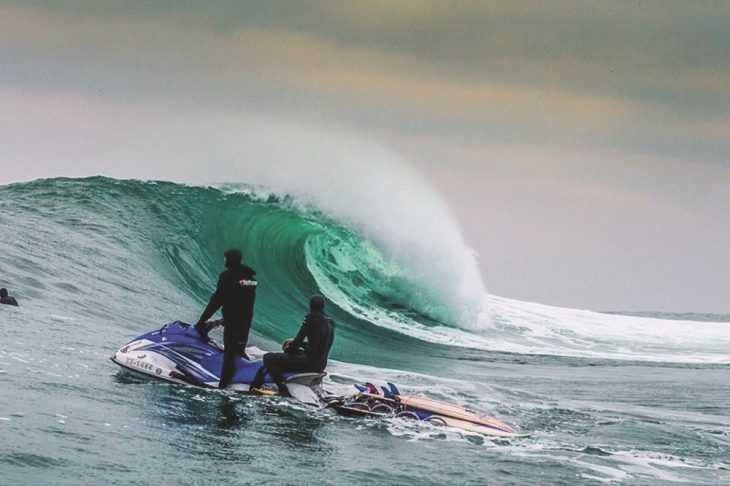 “They were there for the entire time – Doug drove me down, drove me back up from Cork to go to work straight after it, gave us physio on the day and more. The two of them were just brilliant, they were great. It really is a team of four for a two-person event,” Sarah adds. LauraLynn provides palliative care and support for children with life-limiting conditions and their families, allowing parents to act as parents rather than full-time carers. Supporting children from birth to age 18 for free, LauraLynn is also piloting a home care programme in Dublin North-East and Dublin Mid Leinster, providing hospice care for children in the comfort of their own homes. To learn more about LauraLynn or to donate/fundraise, phone 01 289 3151, email [email protected] lauralynn.ie or visit lauralynn.ie. 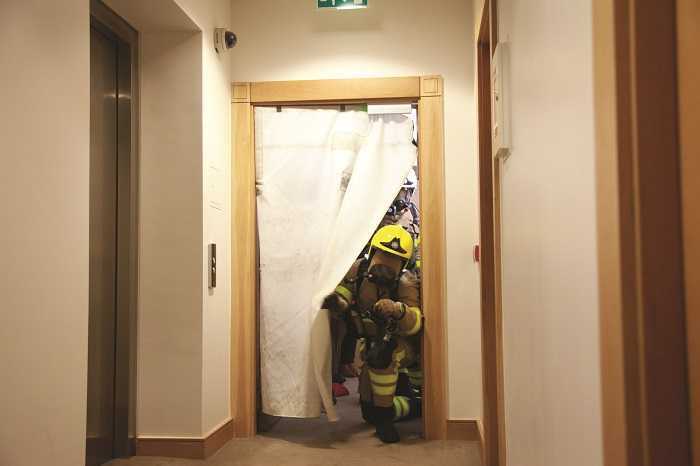 The OBI played host to a two-part mass casualty training exercise for Class 1/2016 last November, writes Conor Forrest. 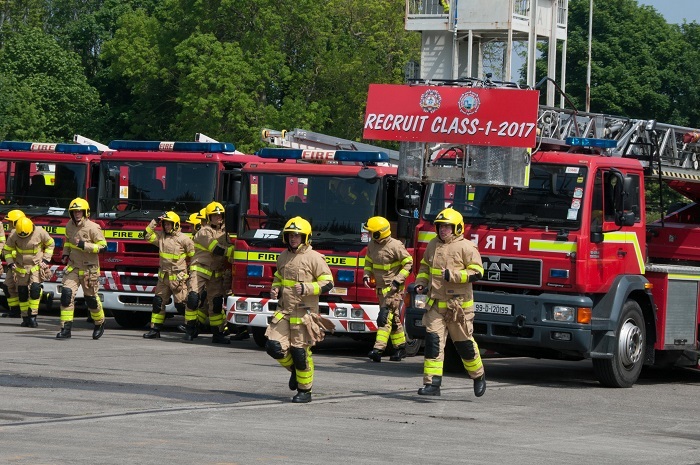 Last November, recruits from Class 1/2016 reported to the OBI as part of their paramedic training, having graduated earlier this year and spent the intervening time in their respective stations. They would be taking part in a mass casualty training exercise that day, a test of their skills in the field based on course objectives which have been set by PHECC (the Pre-Hospital Emergency Care Council) on gathering vital information, delivering a clear picture of the scene to control and command, and designating certain areas for casualty clearance, ambulance arrival, etc. Several years ago I had the opportunity to attend a similar exercise held in the Phoenix Park, which featured the aftermath of a house party gone wrong. This one, however, was a little different in terms of scale. Though the recruits were told they would be taking part in a mass casualty exercise, they weren’t told what to expect. The brainchild of tutor Joe Brady, one of the first practitioners to reach the scene of the recent shooting in Whitehall, onlookers watched as two vehicles entered the yard at speed, screeching to a halt. A mass of armed gardaí tumbled from the vehicles and spread out, bearing down on the rear of the building where there were reports of shooters inside a nightclub. Following an explosion, several masked men emerged from the building and engaged in a shootout with gardaí. The armed unit then moved into the building, clearing it room by room, ensuring the scene was safe for first responders to enter. 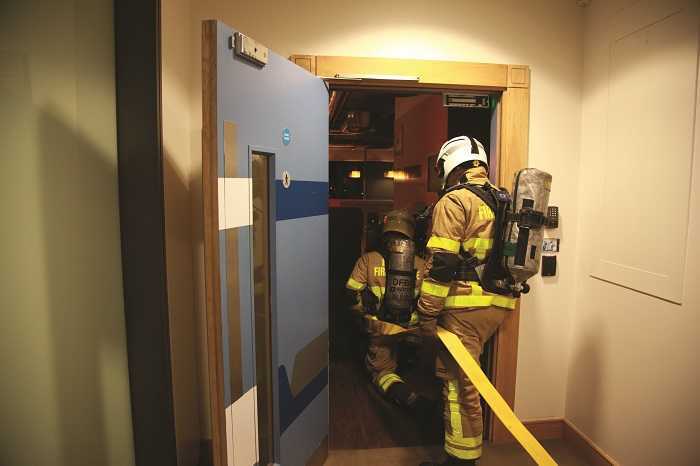 Once they got the go ahead, DFB crews began to arrive – some began to assess the emerging casualties, while others entered the building to assess and remove the more critically wounded. With music pumping inside the club, the responders had to focus on the tasks at hand and ignore any distractions – their instructors were looking for mental strength in the face of disorientation and pressure. Outside on the quad a casualty clearance station area was set up, with patients brought in, assessed, and then transferred into the waiting ambulances. Though some might have been expecting a different scenario, a second exercise began with the shooting of the assembled crowd from the earlier incident. 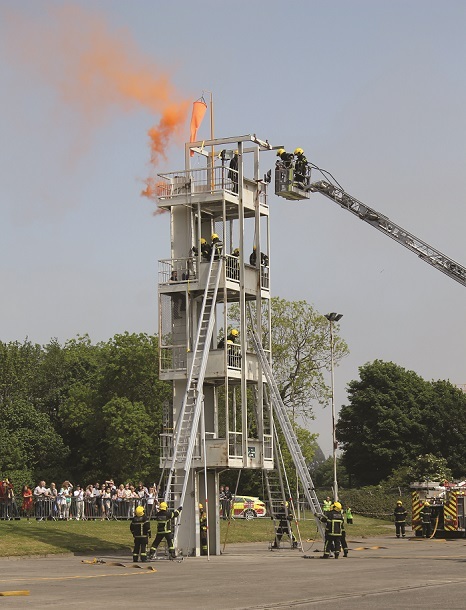 The first thing to consider was health and safety – designing an exercise plan, conducting a risk assessment, mitigating any potential risks that arose during the planning stage and appointing a safety officer to oversee the process. 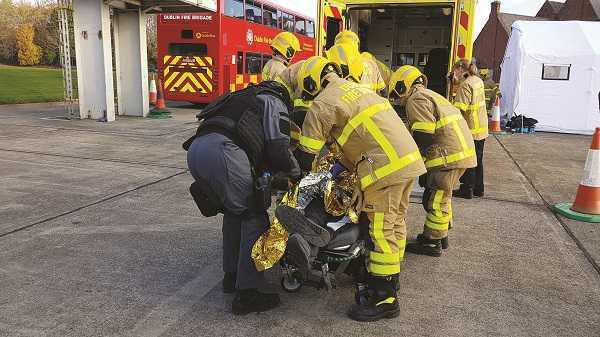 Ensuring all of the necessary equipment was in place was another challenge – given the scale and scope of the exercise, the organisers needed additional trauma bags, spinal boards, field stretchers, scoop stretchers and defibrillators, and a casualty clearing station. A number of ambulances were also requisitioned from the workshop, placed on standby for use in the exercise. As the scenario involved a shooting at a nightclub, casualties were also required, provided through the voluntary emergency response organisations. Their varied injuries were made more realistic by the work of makeup students from Dún Laoghaire. The talented students provided moulage [applying mock injuries for emergency services training purposes) – injuries such as eviscerations, penetrating injuries, everything from bruising to a major haemorrhage and eye avulsions, making for a more realistic scene and placing increased pressure on the responders. “Our first practitioners on scene performed very well, and then our subsequent crews performed very well. It was quite arduous – we had 53 casualties and there were two separate exercises, so it was quite physically and mentally demanding on them. They had to make rapid decisions under pressure and then physically had to remove and treat the patients. It was a lot of pressure for them but we’re very happy with how they performed, and I think they found it to be a very valuable learning experience,” Lambert explains. Thanks are due to all who volunteered their time in coordinating the two exercises, totalling over 100 casualties. 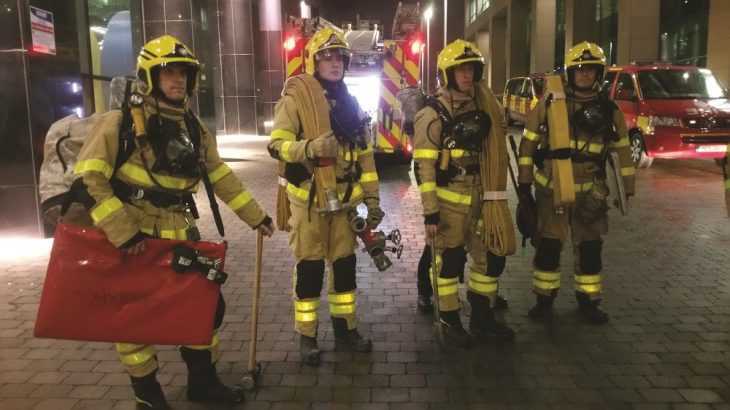 Firefighters were also tasked with relaying a methane message – declaring a major emergency, providing the exact location, the type of incident, hazards, access, the number and severity of the injured and any extra resources required. 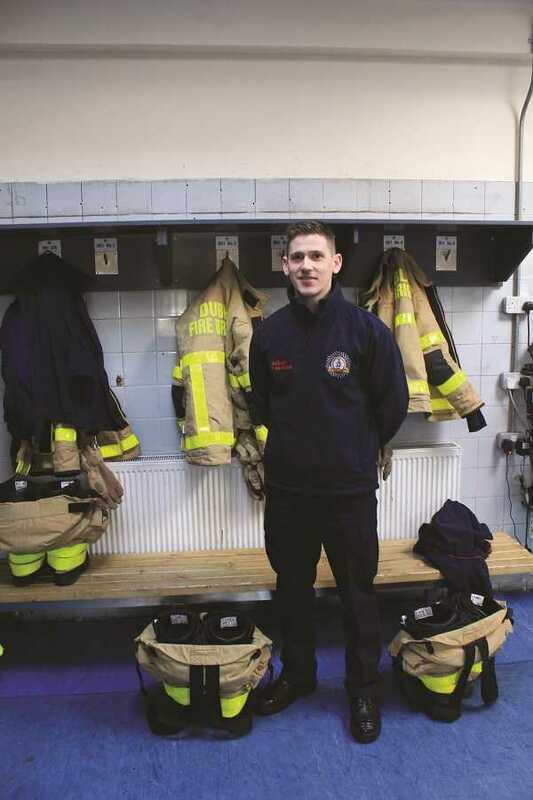 Conor Forrest paid a visit to Kilbarrack fire station and the crew on B watch No 6, headed up by recent arrival S/O Robert Young. 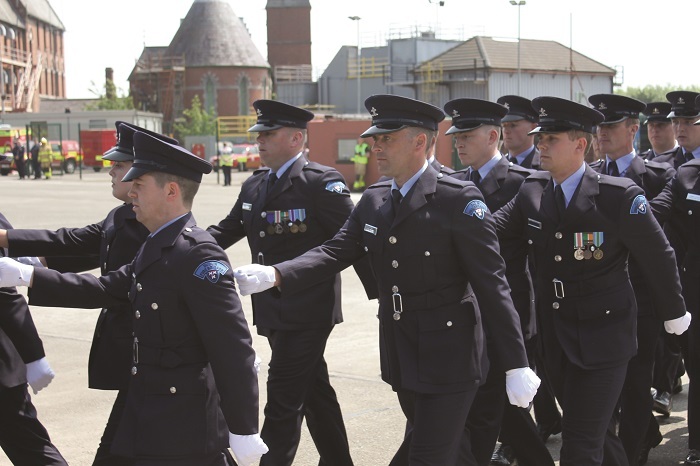 Station Officer Robert Young is another recent addition, having transferred from Tallaght to Kilbarrack in June 2016. 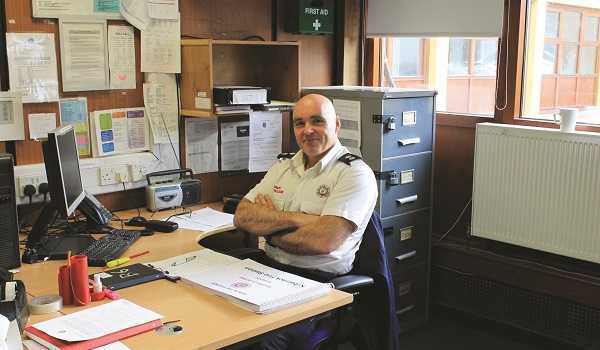 S/O Young joined the job back in 1995 and has experienced life in quite a number of stations during those 21 years, first as a firefighter and then as a floating sub officer and station officer on A and D watch, based in Tara Street but covering all the stations north and south of the Liffey. Alongside his role as station officer at No 6, S/O Young is also one of six DFB driving instructors, a role he’s held for the past 12 years. 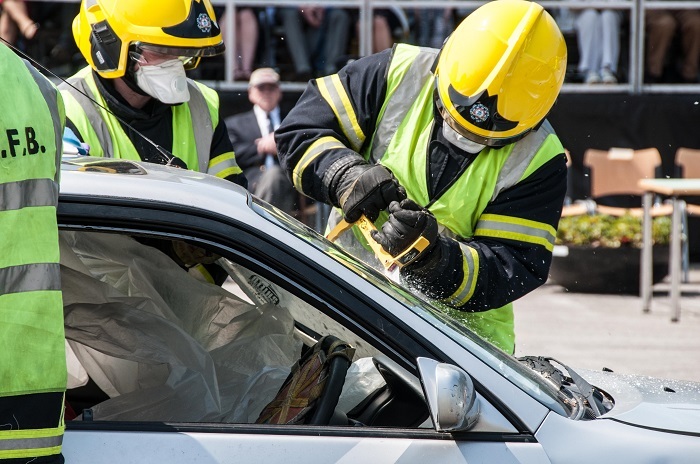 All of the instructors have been trained to the RSA ESDS (Emergency Services Driving Standard) and whenever a new vehicle enters service, the instructors ensure the capabilities of those who’ll be behind the wheel. 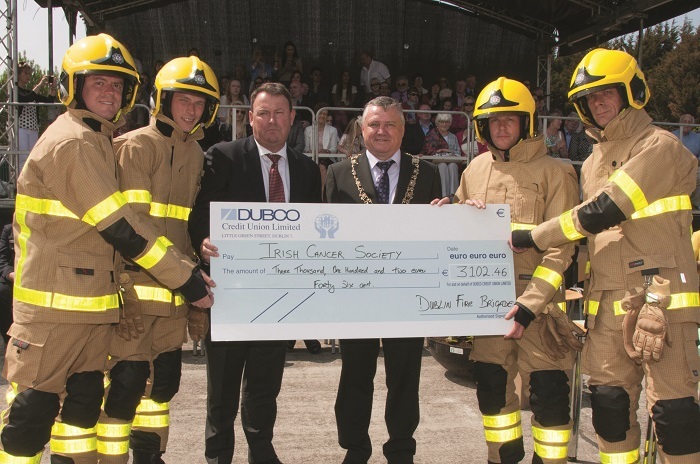 For example, Dublin Bus recently donated a double-decker bus to DFB, which will undoubtedly be put to good use. Around 72 personnel within the job previously worked as bus drivers or mechanics, and hold the relevant licence. S/O Young was dispatched to the OBI to provide a refresher course in bus driving should the need ever arise. For anybody interested in becoming a driver, the first step after approval is to undertake a provisional C licence. 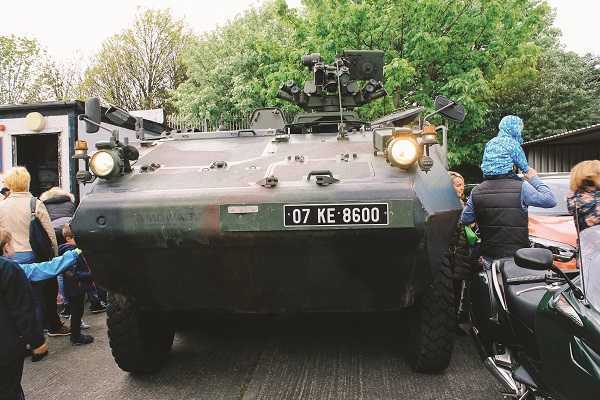 Following four days of training on the truck in the OBI, a fifth day is spent testing your abilities in the test centre in Finglas. 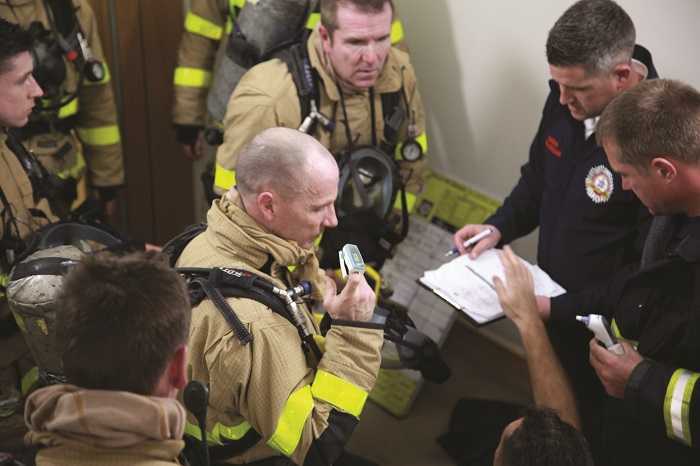 If you pass you’ll return to your station and gradually take on driving responsibilities, firstly on returning from an incident outside of an emergency situation, for a total of about 40 hours. That’s followed by a return to the OBI to undergo the ESDS course for two weeks, training with blue lights and driving both the ambulance and fire appliance. The next step is even further advanced driver training, after which you’ll be ready to drive in any situation. The sheer amount of wide open space within the confines of the station also caught my eye. 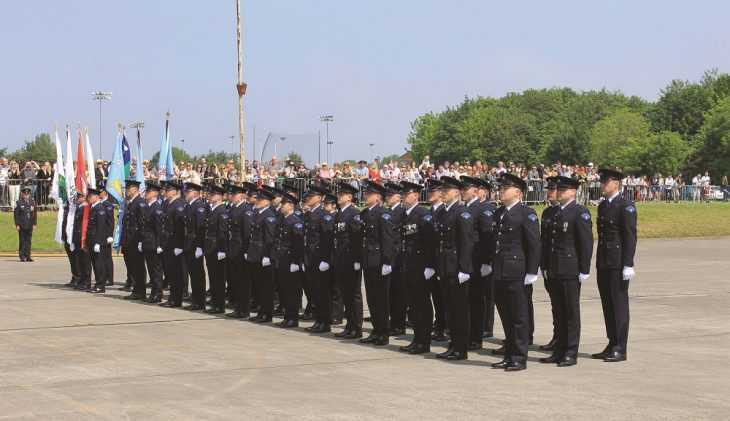 S/O Young explains that prior to the opening of the OBI for training purposes in 1985, for many decades recruits honed their craft in Kilbarrack – hence the impressive yard space. 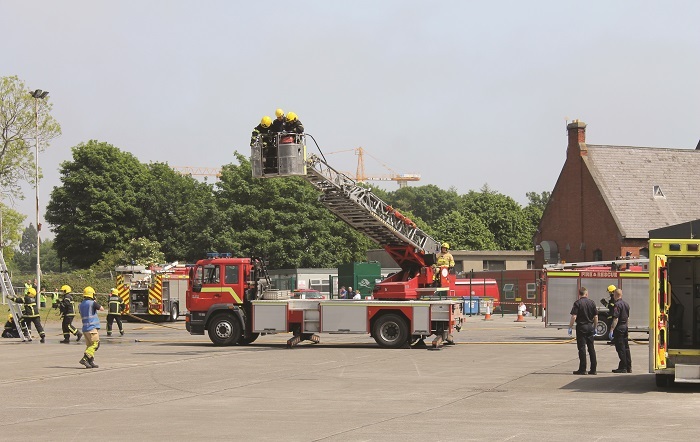 Alongside the usual appliances and the training tower, there are a number of features within the yard that are somewhat unusual. Take, for example, the standalone gym, built using funds saved by the station’s focus in recent years on renewable energy. 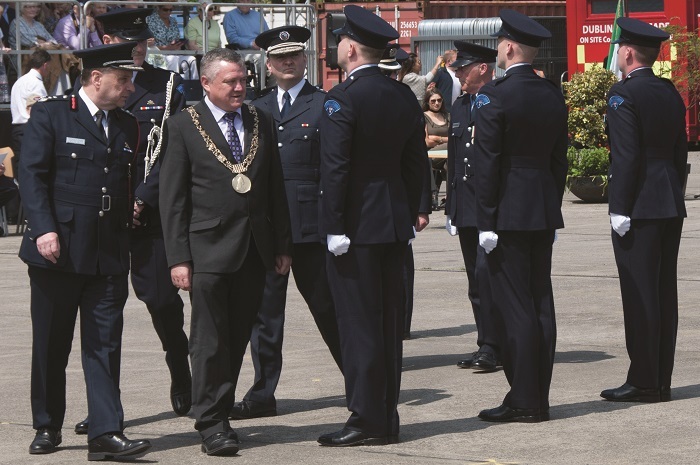 A string of windmills whir away mounted high up in the yard, and at the rear of the station, beneath several leafy trees, is a garden featuring benches and a commemorative monument, a symbol of Dublin Fire Brigade and its strong links with communities across the city and county. Before I leave, I ask S/O Young what he enjoys most about the job. He smiles and leans back, considering his answer. He touches briefly on the craic the crew enjoy every day, and enjoying a job in which no two days are the same. 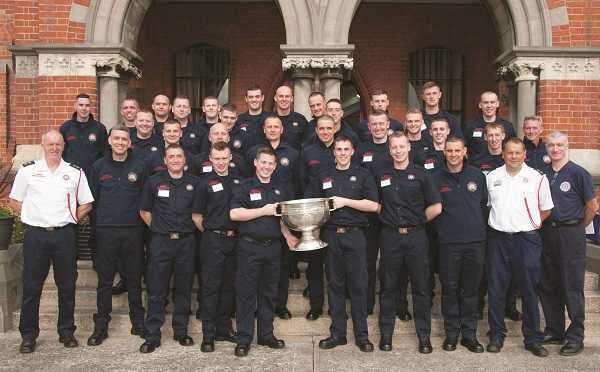 Finally he settles on the opportunity Dublin Fire Brigade personnel have every day – to save lives and make a difference to Dublin’s citizens, though he’s quick to note that they’re just doing their job. 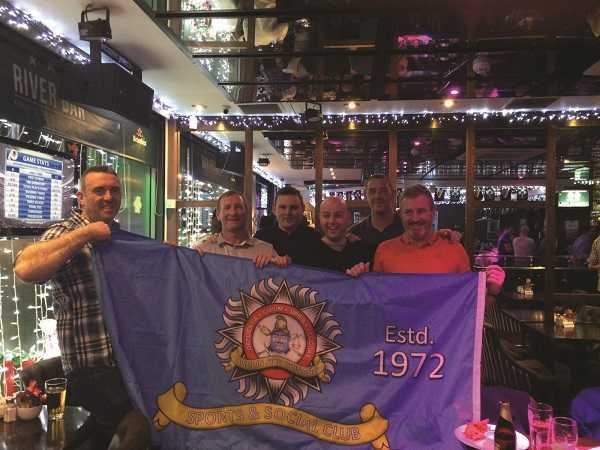 DFB’s Sports and Social Club recently held two fun-filled social nights for members in Dublin city centre. 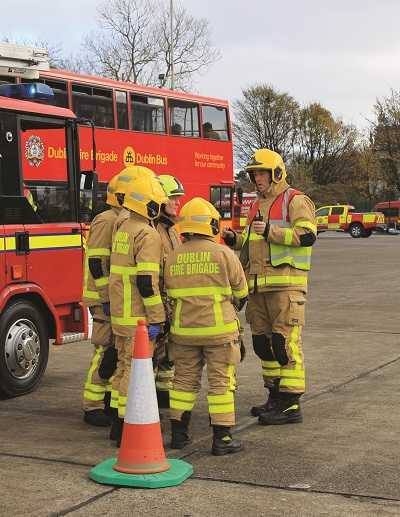 Dublin Fire Brigade is a social organisation – different stations are involved in various events in their local communities, and firefighters across the job are often promoting or taking part in sports, historical or social events in the city. 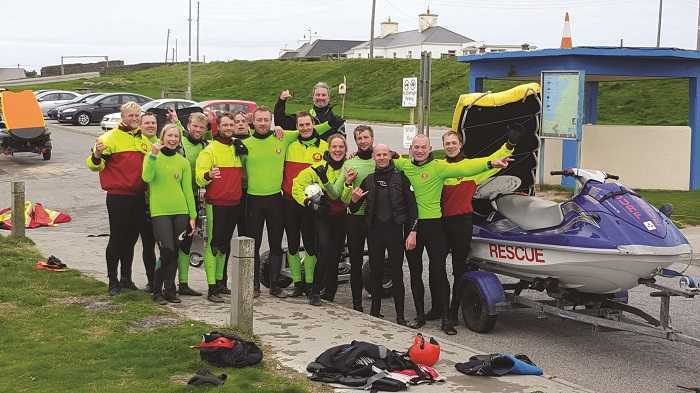 It’s an aspect that the DFB Sports and Social Club is keen to promote and, after a period of absence due to the recession, the annual club nights returned in late 2015, initiated by committee member Paul Marsh from Dún Laoghaire and held in the River Bar on Burgh Quay. A change in the tender process for vendors for events like the kids’ summer party freed up some funds, which Marsh suggested the Club invest in reviving the social nights. 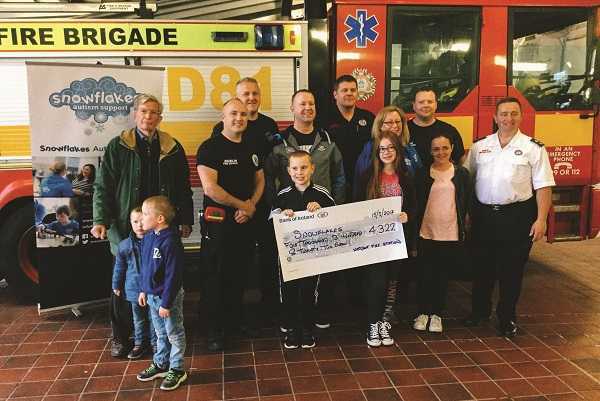 “We cover the families with the kids, we cover everything from athletics to cricket – there is a gap there, I think, especially as there are two new classes of recruits,” says Paul. 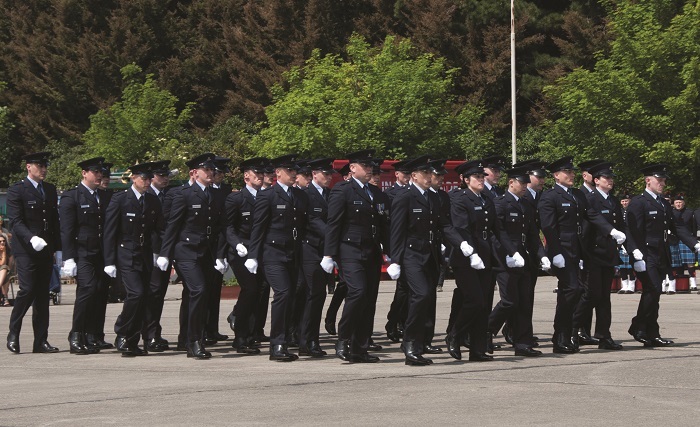 Recruit Class 2/2016 participated in the passing out parade held in the OBI last October. 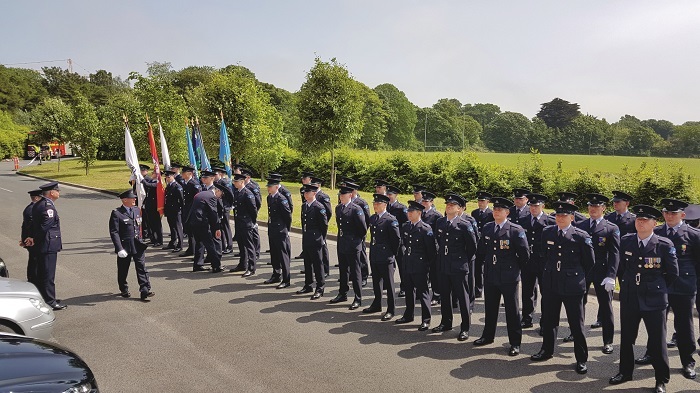 Dublin Fire Brigade welcomed 50 new recruits into its ranks on October 6th last, as Class 2/2016 successfully completed their 15 weeks of training and passed out from the DFB training centre in Marino. 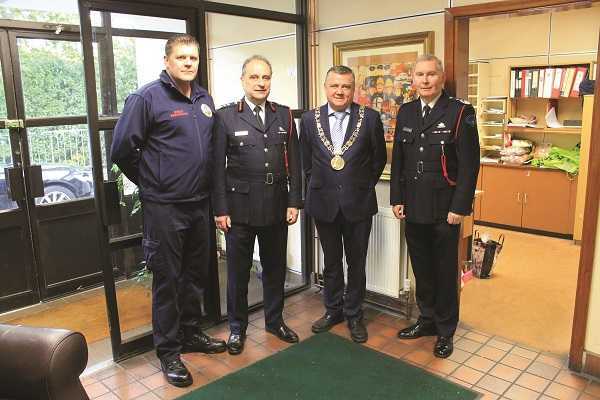 The ceremony was attended by the Lord Mayor of Dublin, Brendan Carr, Dublin City Council Assistant Chief Executive Brendan Kenny, and the Mayor of South Dublin, Guss O’Connell. 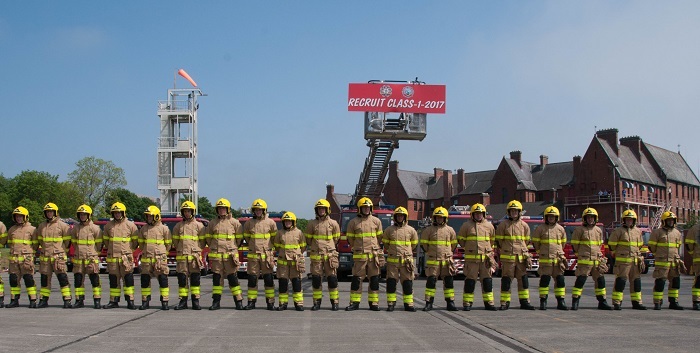 Over the 15 weeks the recruits completed more than 37,000 combined hours of training at the hands of 60 DFB specialist instructors, complemented by instructors from An Garda Síochána, Dublin Bus, Renault Trucks and Luas. 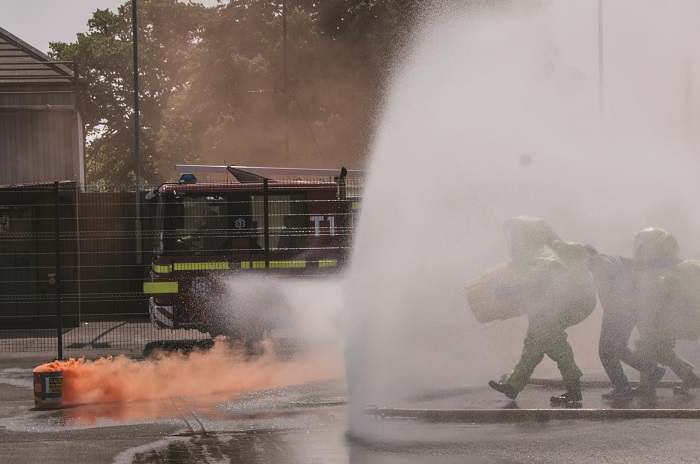 During the event they showcased their impressive range of training, covering a wide variety of skills ranging from working with BA sets and swift water rescue to dealing with road traffic collisions, Hazmat incidents and emergency first response. The crew of B watch Dolphin’s Barn unveiled a garden memorial in the grounds of the station for their colleague Ian McCormack. 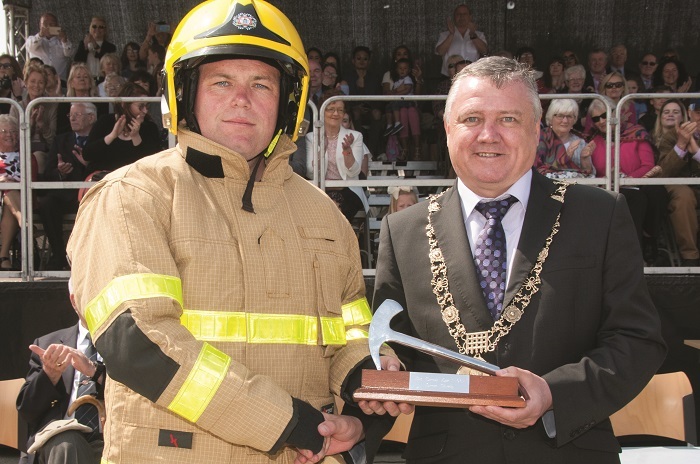 On Saturday August 20th 2016, friends, family and colleagues of Ian ‘Frodo’ McCormack gathered in the garden of Dolphin’s Barn fire station for the unveiling and blessing of a memorial axe in his memory. The date marked six months that weekend since Ian’s passing. Ian’s colleagues on B watch invited a small group of close relatives and friends for the unveiling shortly after the beginning of the night duty, with refreshments afterwards in the station mess hall. After an introduction from S/O Tom Doolan the local priest said a few short words and Ian’s son Alex cut the ribbon and unveiled the axe. 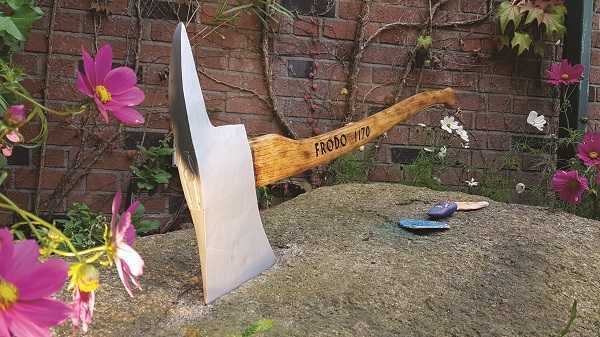 The axe itself simply has the words ‘Frodo 1170’ sandblasted and painted onto it and is embedded into a granite stone in the garden and lit up in the evening with spotlights. There are words of thanks needed for some people who were involved in bringing the evening together with the small project taking a few weeks to plan. The garden was brought back to life and rejuvenated by Chris Keeley (B watch) who spent days working tirelessly in the garden alongside an army of helpers with Martin Keogh there to supervise! The sand blasting was done by a local stonemason from Loughlinstown called Peter Kelly who gave his services for free and did a superb job as anyone who has seen the finished memorial would agree. A special thanks to Stephen McMenamy for sourcing the axe that was used. Finally, a mention to Craig Lancaster who is manager of the Tesco Express in Dolphin’s Barn for his contribution of a community voucher to assist us in organising the refreshments, along with Third Officer John Keogh who also assisted us in the organisation of the evening. Ian is sadly missed by everyone but hopefully this small memorial will help his memory live on and serve as a reminder to us of the laughter and memories he gave us.